The cover of NBA 2K16 in Spain features Chicago Bulls forward Pau Gasol and Memphis Grizzlies center Marc Gasol. Marc and Pau Gasol wearing the 2015 All-Star uniforms on the cover of NBA 2K16. 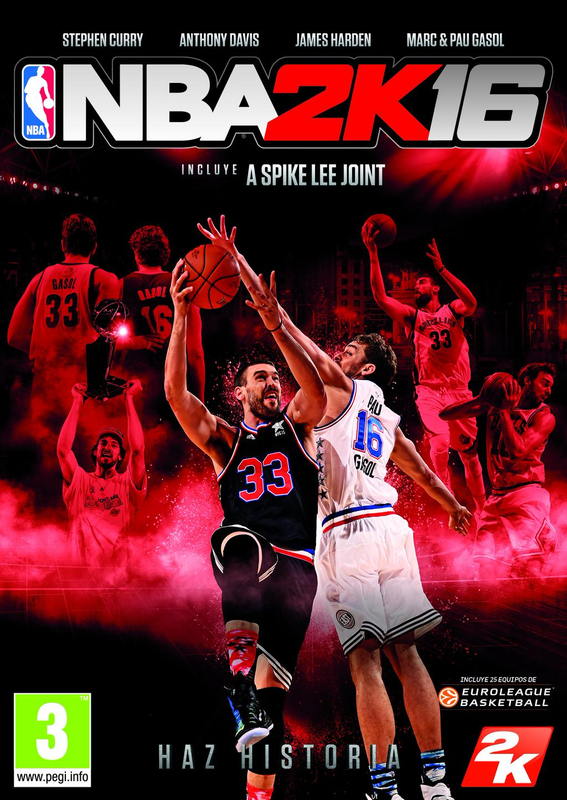 “I am very excited to share the cover of NBA 2K16 with my brother,” said Marc Gasol, who was the cover athlete of NBA 2K13 in Spain. “After being selected to the 2015 All-Star Game, I am very happy to get another achievement this year”. “It's a real honor to be featured on my first cover in NBA 2K with Marc. I’m very happy to be part of NBA 2K family. The debut with my brother in this cover is very special because it reflects some of the most important moments of our careers,” said Pau Gasol in an interview. Just a few weeks back, 2K Sports announced that Tony Parker will grace the cover of NBA 2K16 in France, and Dennis Schröder for the German cover. NBA 2K16 is just five weeks away from its September 29th release. The game will be available for PC, Xbox One, Xbox 360, PlayStation 3 and PlayStation 4.